Now through January 1st, 2016, whenever you make an eligible purchase on Amazon, you’ll score the first DreamWorks’ Kung Fu Panda digital HD movie completely Free from Amazon Video! After making a qualifying purchase, you’ll receive an email with a promo code and instructions on how to redeem your Free, digital HD copy of Kung Fu Panda. I already rec'd my redemption code! Participating categories include Amazon Video, Books, Electronics, Toys and many more! As an idea, consider purchasing one of Today’s Kindle eBooks for $1.99 to qualify for this promotion. 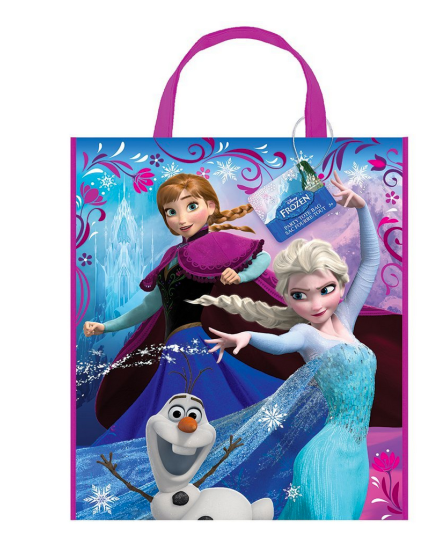 OR, snag this Large Plastic Disney Frozen Favor Bag, 13″ x 11″ priced at $0.97 (reg. $3.99) to snag the free movie download. SWEET!